Active ageing refers to continuous participation in all kinds of societal activities, including work, social affairs, and leisure interests. Education can assist active ageing by prolonging careers, by helping in the transition to retirement, and by maintaining mental capacity. The aim of this chapter is to investigate how degree-orientated university studies in midlife impact the future retirement prospects of adult graduates. The data consists of interviews with graduates who have acquired a master’s degree in their fifties. An interpretative narrative approach is adopted to data analysis. 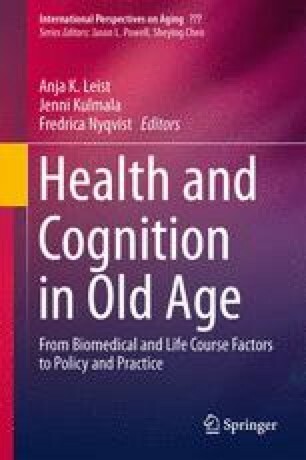 The findings indicate that adults who have participated in an extensive educational activity and upgraded their educational level at mid-age are planning to stay active at old age. They anticipate being involved with various activities in which they can utilize the knowledge, skills, and social position provided by the academic education. These activities include prolonged professional career; continuous learning and further studies; civic activities and voluntary work; and social activism. I would like to thank Professor Elina Lahelma (University of Helsinki) for reviewing this article and for providing helpful feedback. I would also like to thank Professor Sara Arber and Dr. Susan Venn (University of Surrey) for their advice. In addition I want to express my gratitude to Academy of Finland for the funding of the study.